Waterfall Info: From the bottom, this is the first significant waterfall on the Left Fork of the Soquee River. 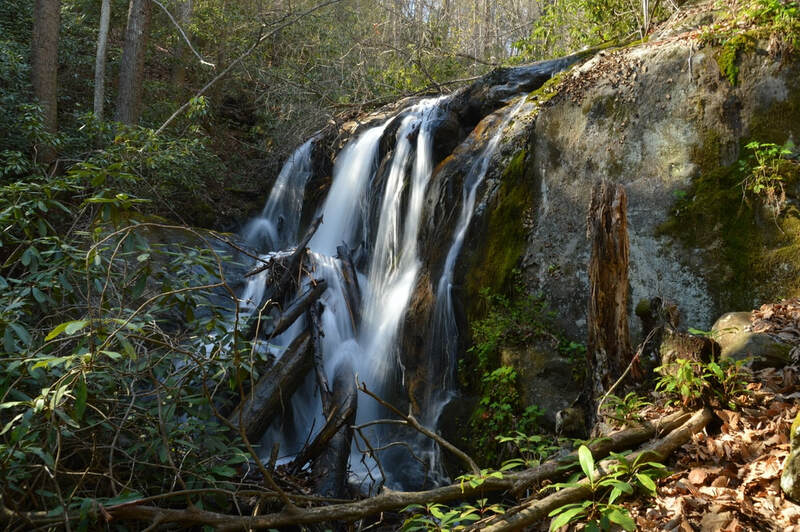 Access Info: This waterfall is accessed via an unofficial trail 1.75 miles one way from Chimney Mountain Flats Trail. There are three fairly deep river crossings along the way.